All I'd want is you to be my sweet honey bee." Visit the Summer of Color to see more wonderful images in purple. If someone googled my name, they'd probably come up with hundreds of comments broadcasting my love of lavender. Great pic. You have a great eye!! Oh, lovely! Insects are fun to photograph! :) Happy WW! Lovely shot!I love taking photos of nature as well. Oh my gosh, that is an AMAZING picture! The violet and yellow are so resonant! My husband planted lavender, and we've been reveling in lavender brownies, fudge and poundcake. Great image. I love the way the wings look. It' wonderful to see images of honey bees, what with colony collapse happening so rampantly. I like the bumble bee. I can actually see the tiny fuzz. So cool! Really beautiful how much detail this captures. You can see the bee's fuzz and everything. The photo and poem go so well together. 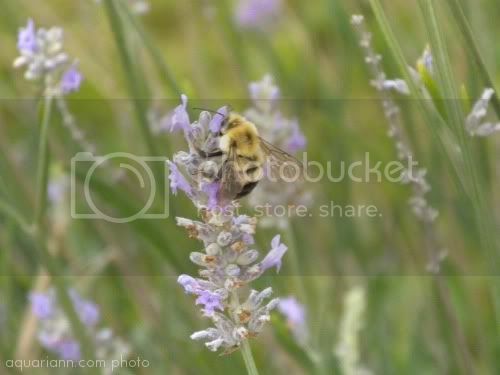 Love lavender and bees. Wow! Very impressed by your bravery in getting so close to that bee. Love the closeup of the bee. Haha, don't be too impressed, Autena - my camera has a 7x zoom so I was still at a safe distance. And thanks to everyone for all the sweet comments!! Thanks for stopping by Mama.Mommy.Mom. and stumbling my post! I'm returning the favor! Beautiful picture! I've really enjoyed looking around your blog and greatly appreciate you stopping by to check mine out :) I've joined, GFC, and stumbled, to return the favor.